Jesus is alive! 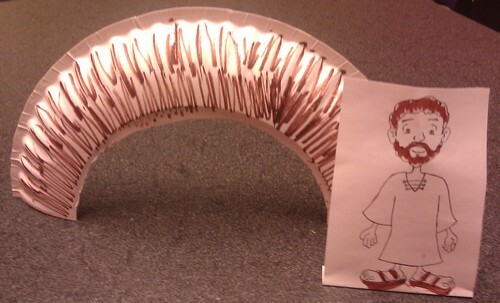 Show kids the wonder of the resurrection message by leading them with the empty tomb craft. There are lots of good ones out there but this one is my favorite. You’ll need some prep time for cutting out tombs so give yourself time before class. 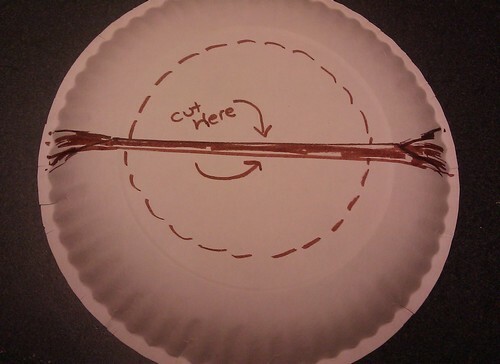 Cut paper plates in half. Foam plates won’t work. Place a half paper plate in front of you with the flat side facing down. Use a saucer as a guide for the arc you’ll need at the base. This will be the opening of the tomb. With a pencil, outline half the saucer on to the paper plate. Cut the piece out with scissors. You’ll need one tomb for each child. In the example picture below, you can cut slightly less than halfway so the plate will stand on its own. The brown area below would be discarded. Test a few different cut lines to see what works best with your paper plate shape. When children arrive, give them brown or gray crayons. If small kids want another color, it is okay to let them be creative. Older children can use washable markers. Kids should color the entire tomb brown. 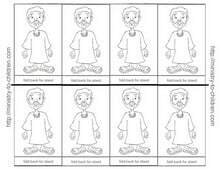 Give each child a small picture of Jesus’ face to color. After it is colored, glue it to the back of the tomb. Jesus should be peeking out of the tomb entrance. 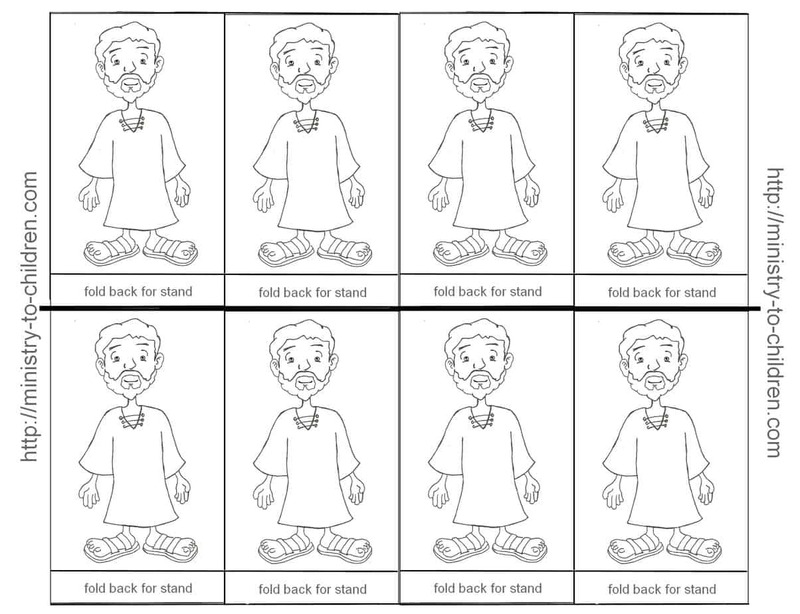 We’ve resized one of our Jesus coloring pages to make this cut out template. Click on the preview to the right to download as a printable PDF file. You can also download the jpeg for other editing. Next, give each child a brown construction paper disk to represent the stone. Show kids how the stone rested on the tomb until the angel moved it. Your kids can take the craft home to demonstrate to their families how the stone was rolled away.